Jane Irungu, assistant vice president of student engagement, will serve as the UO's point of contact and resource for international students and students covered under the Deferred Action for Childhood Arrivals program. The appointment is effective immediately and is part of the Division of Student Life. The Deferred Action for Childhood Arrivals program is commonly referred to as DACA. Prior to taking this role, Irungu held the same title in the Division of Equity and Inclusion, where she was director of the Center for Multicultural Academic Excellence. Irungu’s appointment comes at a time when many international and undocumented students are feeling vulnerable or uncertain due to shifts in the nation’s policies regarding immigration and global engagement. Like other public research universities across the nation, the UO welcomes and supports students without regard for immigration status. A recent message to campus from President Michael Schill and Provost Scott Coltrane highlighted the importance of global engagement and international scholarship to the campus community. The new position is a natural fit for Irungu. She emigrated from Kenya to the U.S. in 1997 to attend graduate school at the University of Kansas, where she earned a doctorate in higher education administration and policy studies. In her previous role as the director of the Center for Multicultural Academic Excellence, she helped form the UO Dreamers Working Group, which aims to support students through issues related to immigration status. As the campus-wide committee grew, a need arose for an someone to lead the UO’s efforts in the area. “I want to empower our students to find the resources they need to feel safe and welcome in our community,” Irungu said. She will hold regular, open office hours for any student with concerns or questions. This availability is critical for undocumented students and those in the DACA program, Irungu said, because she’ll be able to guide them to confidential programs and services based on their specific needs. 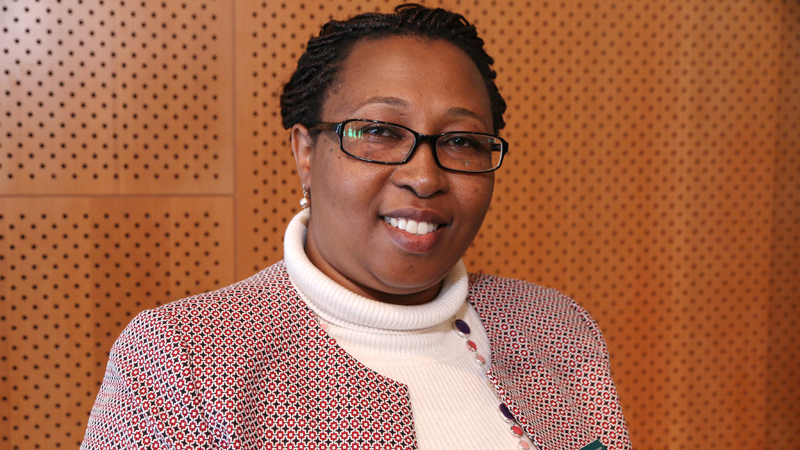 In addition to her doctorate, Irungu has a master’s degree in higher education administration from the University of Kansas and a bachelor's degree in education from Kenyatta University in Nairobi, Kenya. Irungu has more than 30 years of experience in the field of education. Before joining the UO, she was the associate director of the Kansas African Studies Center. She also worked as a program director in the Office of International Programs and lecturer in the Department of African and African American Studies at the University of Kansas. Before moving to the U.S., Irungu served as a high school teacher, an examiner with the Kenya National Examinations Council and a high school principal.